Once considered the stone of heaven sapphire has captivated with its vibrant blue hues for ages. 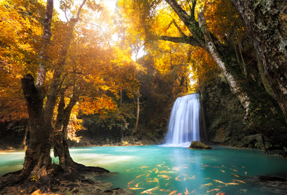 The rising popularity of its fancy colors has secured its place in the public consciousness. For many sapphire is the defining blue gemstone and has been for ages. Indeed its very name when directly translated from its Greek root of sappheiros literally means "blue stone." In reality sapphire gemstones are available in nearly every color of the rainbow! Sapphire is a variety of the mineral corundum and besides the world-famous blue it is also available in pink purple green yellow and orange among others. 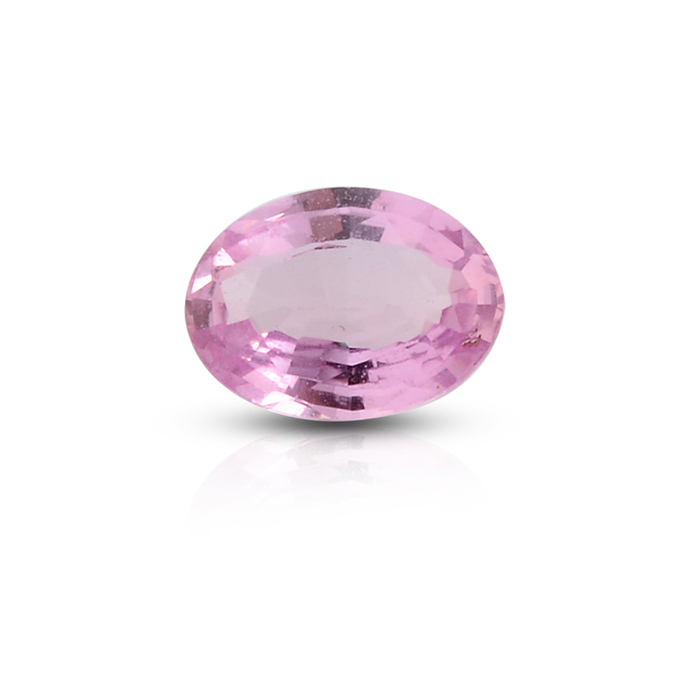 Only the red variety of corundum cannot be considered a sapphire gem. It is reserved for ruby alone. As sapphires are available in a variety of colors the most important factor in determining its value is the intensity and vibrancy of that color. Sapphires are also pleochroic meaning that they can display different colors when viewed from different angles. As long as this feature doesn't distract from the overall color of the gem it can be considered of good quality. Color zoning areas of different color within the gem is also a common feature of sapphire and this zoning should not interfere with its overall appearance. Otherwise it will also detract from the sapphire's value. Traditional blue sapphires are most valued when they occur in a deep blue to violet blue. This color will be strongly saturated but not so dark as to compromise the brightness of the stone. 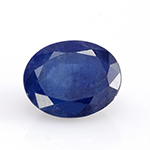 Other colors of sapphire will have similar qualities when factoring the value of those gemstones. Generally speaking it's not uncommon to find inclusions within sapphires. In fact it is common enough to have a particular term to describe the most commonly seen sapphire inclusion known as silk. 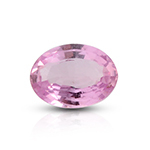 Silk inclusions are fine needle-like inclusions that intersect in groups throughout the gem. 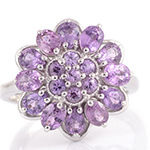 As with most gemstones inclusions can lower the value especially if it affects the durability of the stone. It is common to heat-treat sapphires of all types to either improve or enhance its color. Another treatment process commonly used is diffusion. The diffusion treatment introduces beryllium under a very high heat to bond the material to the stone. Once complete this treatment also helps to improve the color of the stone. Both methods are accepted within the gem trade. Sapphire is one of the hardest materials on Earth measuring a nine on the Mohs scale. For this reason sapphire is frequently synthesized and used in a variety of applications from body armor to safety glass. In the jewelry trade synthetic sapphire is commonly used to construct watch jewel bearings for mechanical watches. These hardwearing bearings contribute to less wear on the internal parts and increase the accuracy and battery life of the watch. The deep inky blue of Kanchanaburi blue sapphire is a captivating pool of splendor for sapphire lovers. Madagascar Purple sapphire is one of the rarest sapphires ever found. The Thai blue star sapphire is a variety of sapphire that displays a six-pointed star pattern radiating from the inky depths of the stone. • 12 gemstones were set into the breastplate of the High Priest of Israel. Sapphire was one of these stones. Sapphire is the birthstone for September. • The ancient Greeks and Romans believed that sapphire protected one from envy and harm. • During the Middle Ages sapphires were worn to represent heaven and were believed to bestow heavenly blessings on the wearer. • Sapphire is a traditional gift for the 5th and 45th wedding anniversary. 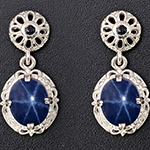 • Traditionally sapphire has represented a noble and faithful spirit. Sapphire has been mined worldwide throughout history. 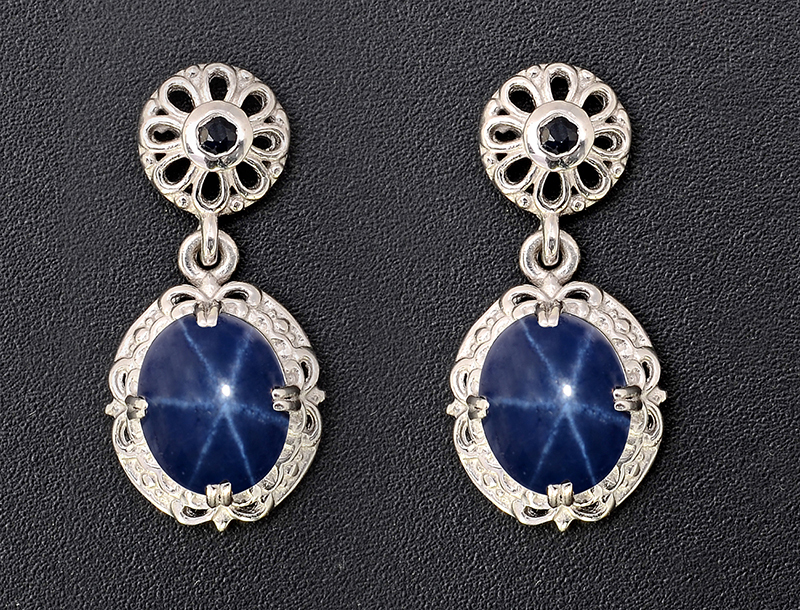 The historic mines of Kashmir produced such a high quality of sapphire; the stones still fetch a considerable price today when they are available. In the modern-day market sapphire gems originating from Burma and Sri Lanka both command a high value as neither kind are heat-treated. Commercial sapphire operations also exist in Africa Australia South Asia and the United States. While it commonly accepted that the word sapphire owes it origin to the Greek sappheiros some linguists that the word may have originated from the Sanskirt Shanipriya literally translating as "dear to Saturn." 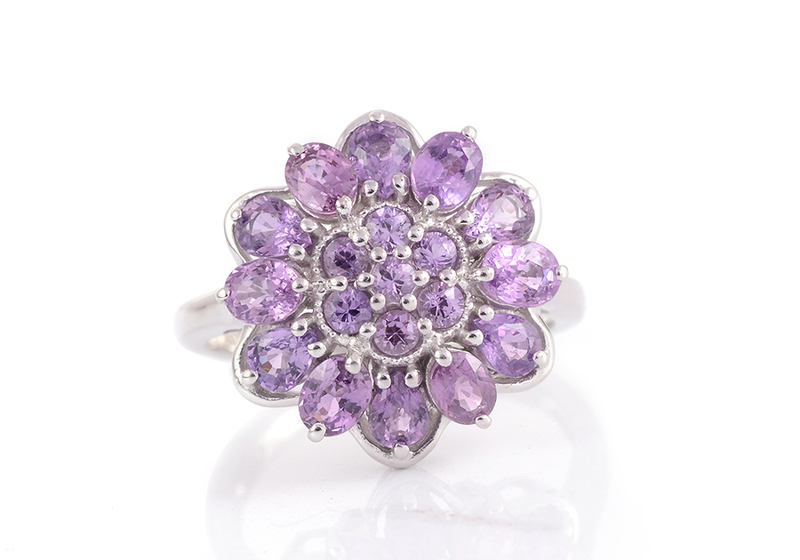 Colorless sapphires used to frequently utilized as diamond substitutes and are still frequently utilized as accent gems. Sapphire measures at nine on the Mohs scale of hardness. The largest known sapphire in the world is the Millenium Sapphire weighing a whopping 61 500 carats! This specimen has been carved with many depictions of humanity's accomplishments. 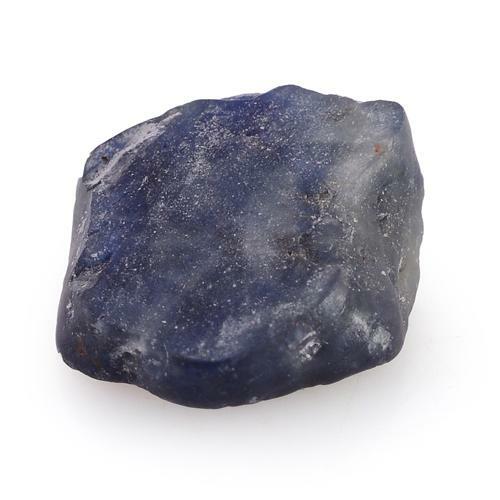 It's now widely thought that the Greeks were describing lapis lazuli instead of sapphire when using the term sappheiros. The Logan Sapphire is perhaps the most famous flawless sapphire weighing in at 422.99 carats. That's about the size of a chicken egg! Sapphire can be found in every color except red. Ruby holds that position a variety of corundum itself.